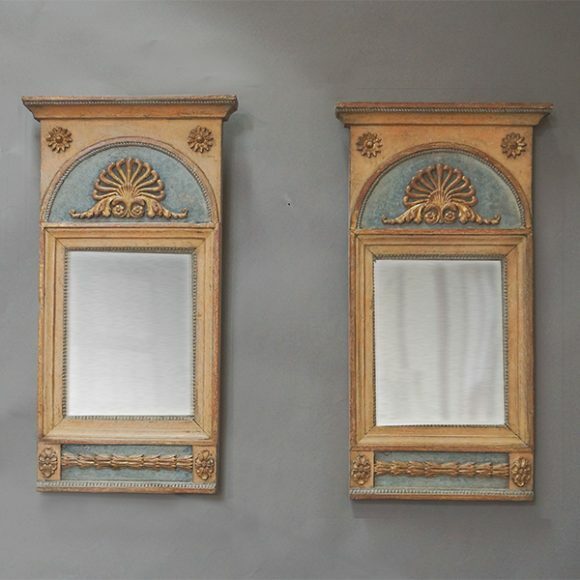 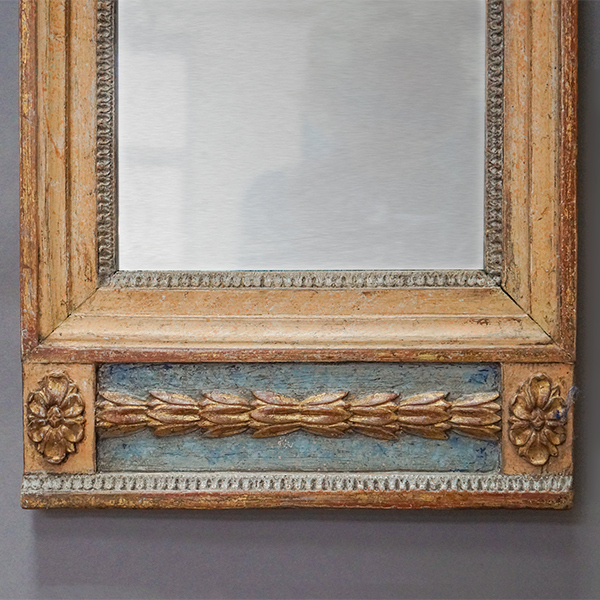 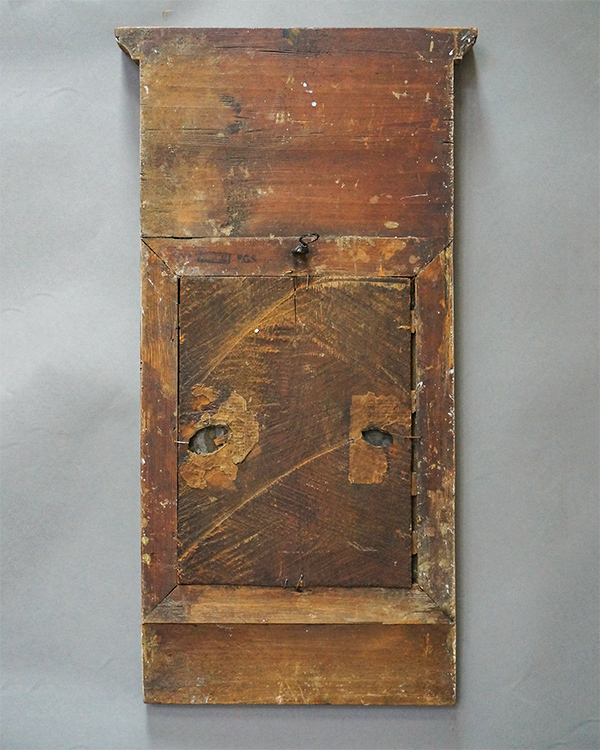 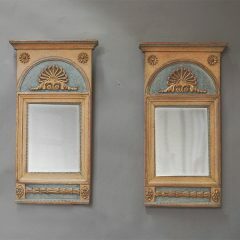 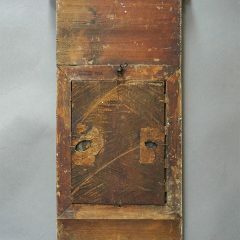 Pair of small Swedish mirrors from the Gustavian period, circa 1820. 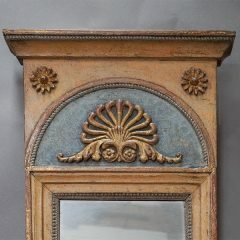 Original painted and gilded surface with a beautifully formed palmette above the mirror. 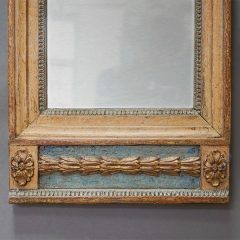 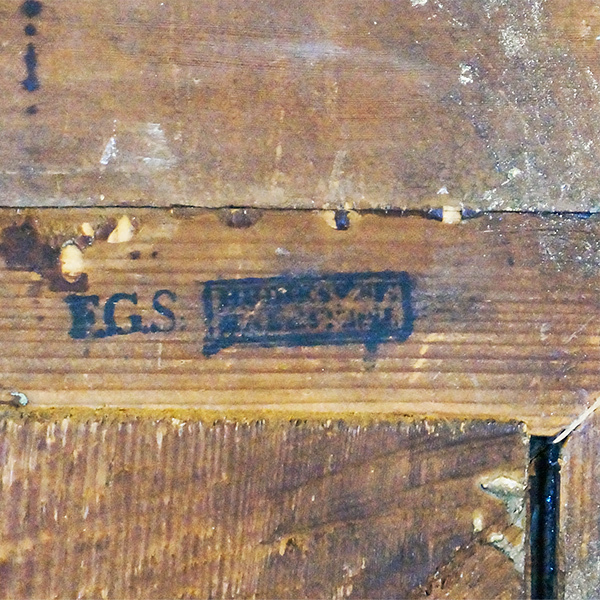 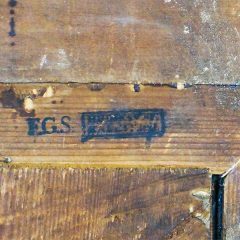 Original mirror glass and back.